Tips to Naturally Prevent Wrinkles | Syringa Inc.
Nearly every woman desires to look and feel her best. As time passes and we age, it is somewhat inevitable that wrinkles will creep in. There are some natural ways to prevent the formation of wrinkles and help you keep your smooth, youthful, glowing skin. Staying hydrated is extremely important for the health of your entire body. 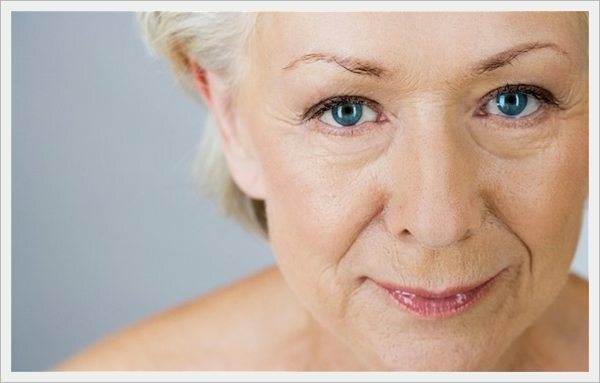 Skin is the largest organ of the human body and when we become dehydrated wrinkles become more abundant and pronounced. Proper hydration will help smooth skin and even texture and tone. A good quality moisturizer is important to help nourish skin and seal in moisture. Avoid any that have artificial fragrances, dyes, hormones, or synthetic chemicals. These are not necessary and often cause harm. Seek out a natural and safe moisturizer and use it regularly to keep skin feeling soft and refreshed. Most people now know that smoking cigarettes is extremely bad for your health. Besides likely shortening your life and decreasing the quality of it, smoking is very damaging to your skin. The toxins in cigarettes cause a breakdown in collagen and elastin, two components that keep skin firm, strong, and elastic. Smoking also causes blood vessels to narrow, decreasing the delivery of oxygen to the skin, and thus causing premature aging. Quitting smoking will not completely reverse any damage done, but it will make a huge difference. You will definitely look and feel younger. When you sleep, your body produces HGH (human growth hormone), which helps skin stay thick, elastic, and smooth. Sleep deprivation causes the body to produce excess cortisol, a hormone which leads to the breakdown of skin cells. Sun is extremely damaging to your skin. When possible, shield your skin from the sun with hats or shade. When you do go out in the sun, make sure to wear sunscreen. This helps protect you from skin cancer and excess wrinkles. The antioxidant components of fruits and vegetables help combat the damaging free radicals our skin is exposed to in the world around us. Free radicals are unstable and damaging to skin. Feeding your body nutrient dense foods will help your skin look more youthful and radiant. The health of your skin is a very good indicator of the overall health of your body. If you take care of yourself and eat a healthy diet, drink water, take vitamins, and avoid harmful and synthetic chemicals as much as possible you will keep the youthful smooth skin you desire.